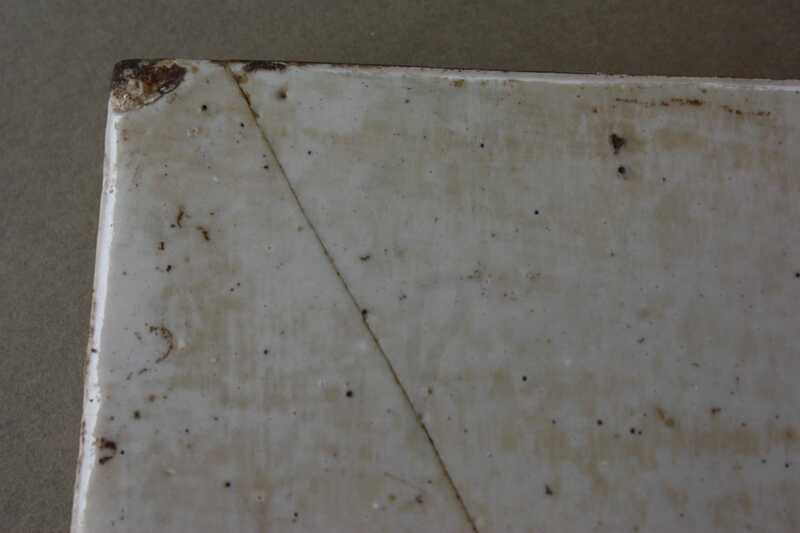 I contacted an online auction/appraisal site and received more information on this tile. 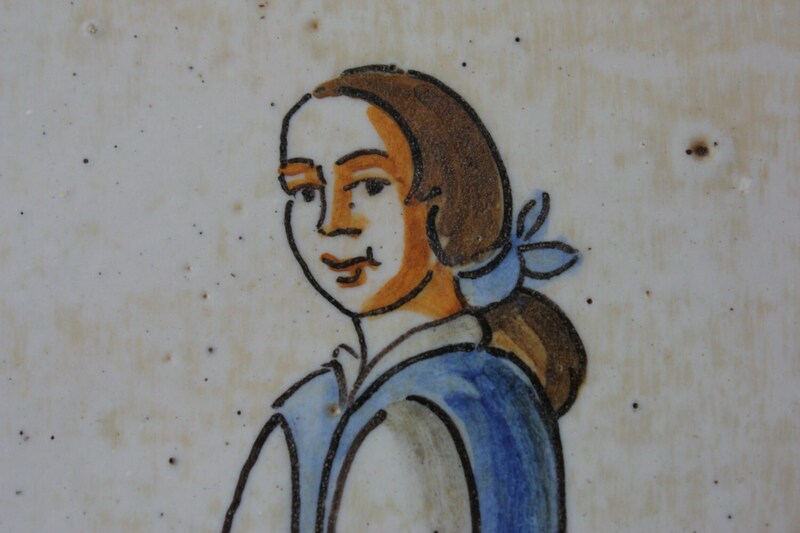 A true appraisal cannot be given without the expert actually examining a piece in person, but they suggested that the tile is Dutch and from the 1700s. However, I've recently (I'm amending this description.) come across Mensaque Rodriguez tiles with very similar depictions. 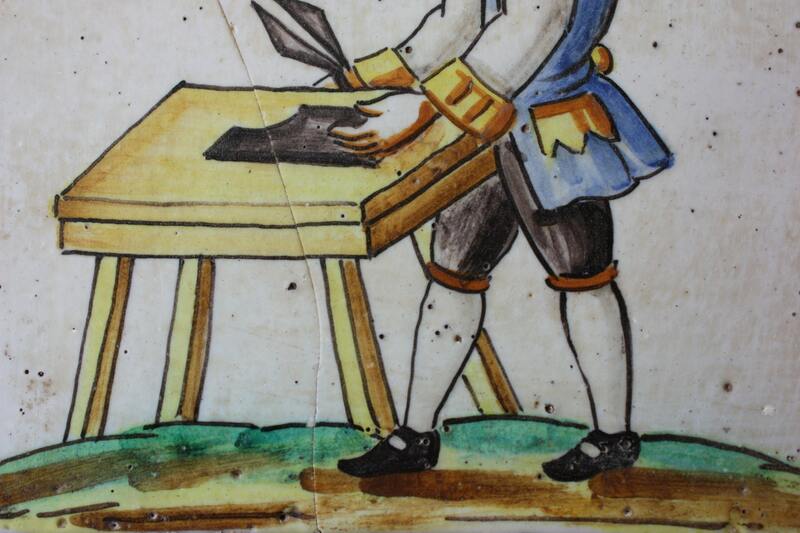 The only difference is that the back of the tile is not finished like the Rodriguez tiles so perhaps the Rodriguez tiles are copies of older tiles, and this is an older tile? 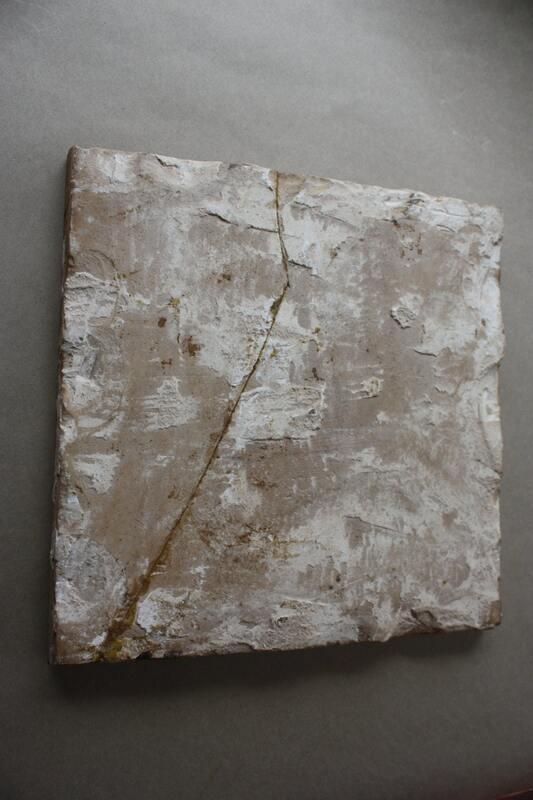 Or maybe this tile had a finished back and was set and then scraped/pried off. I am not certain. For this reason, I am dating this as a vintage item and the reader or purchaser of this tile can decide the historical period from whence this comes. In the book Cerámica y Cultura: The Story of Spanish and Mexican Mayolica, the author writes: The Mensaques were a family of industrialists, not ceramists, but they had the insight to see the commercial advantages that ceramic production could bring. As a consequence, they established one of the most important and successful ceramic companies. Their first factory was established in 1880, although Miguel Mensaque had been creating pieces since 1846. Production of artistic ceramics reached their high point toward the end of the nineteenth century, thanks to the work of some prestigious painters. In 1923 after several mergers, the present factory was created. In 1974, due to its tremendous growth, it was moved from Triana to Santiponce, a site in Sevilla. The company's output has been geared toward heavy industrial fabrication, although works are still hand painted for special commissions. 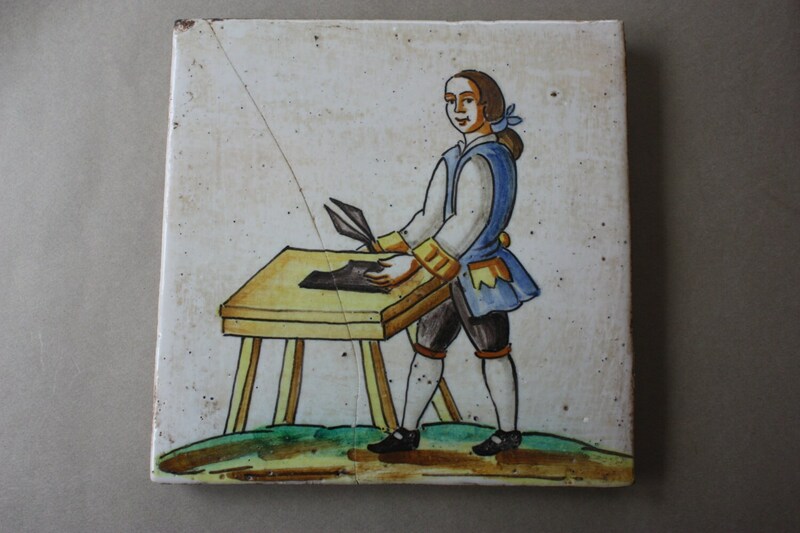 Productions has focused principally on construction ceramics, particularly tiles, reproducing dados whose designs reflect the historical era of the factory. There is a significant crack in this piece. The measurements are approximately 8.25" square and ½" thick. The artwork features a leatherworker with leather shears standing before a work table.